You’re Invited!! 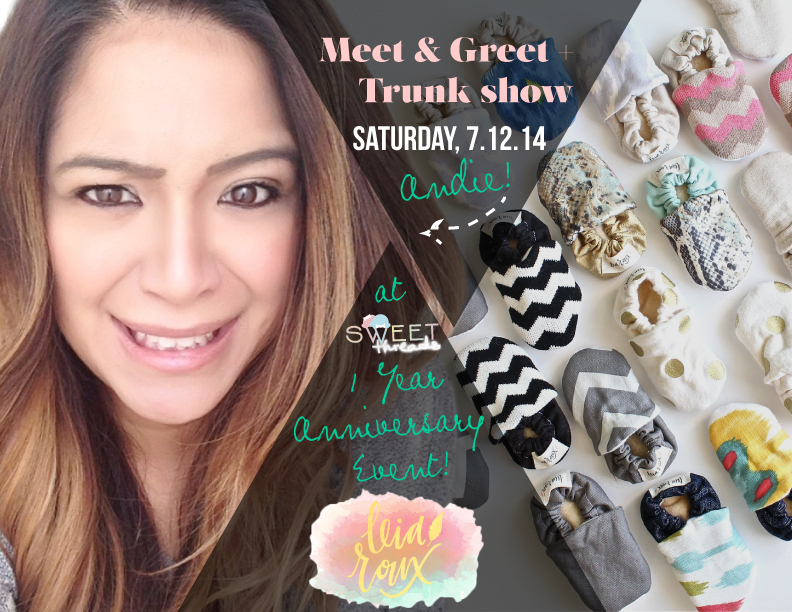 Sweet Threads turns One! Time flies when you’re having fun! The shop is turning ONE! We’re celebrating Saturday, July 12 starting at 12 pm and YOU’RE INVITED! Cool down with Share Mii Snowy Ice Dessert Truck, dive into our Pile SALE, get your kiddos face painted by Color My World and here’s your chance to MEET n’ GREET some of Long Beach local designers Celest by LBTots and Leia Roux! They’ll be debuting their newest collection of mommy n’ me floral crowns, bows and baby Shoesies galore! 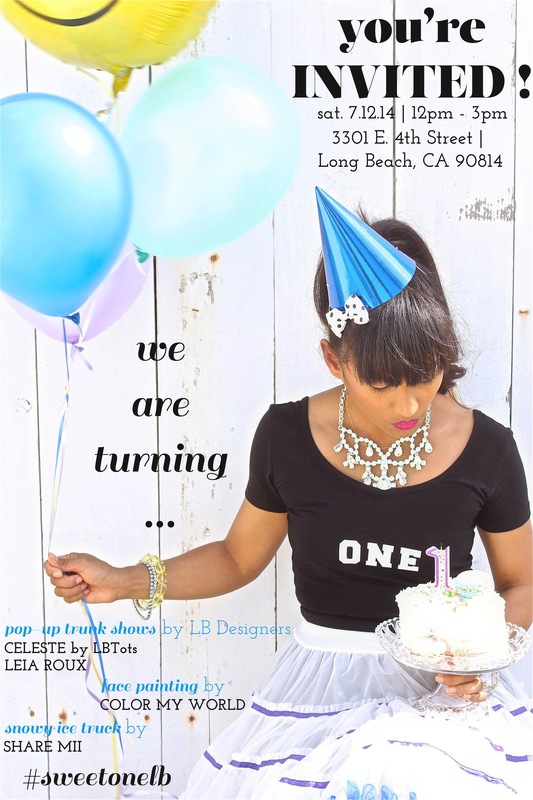 Celest by LBTots will be giving away a goodie bag to her first 10 customers! So don’t miss out! 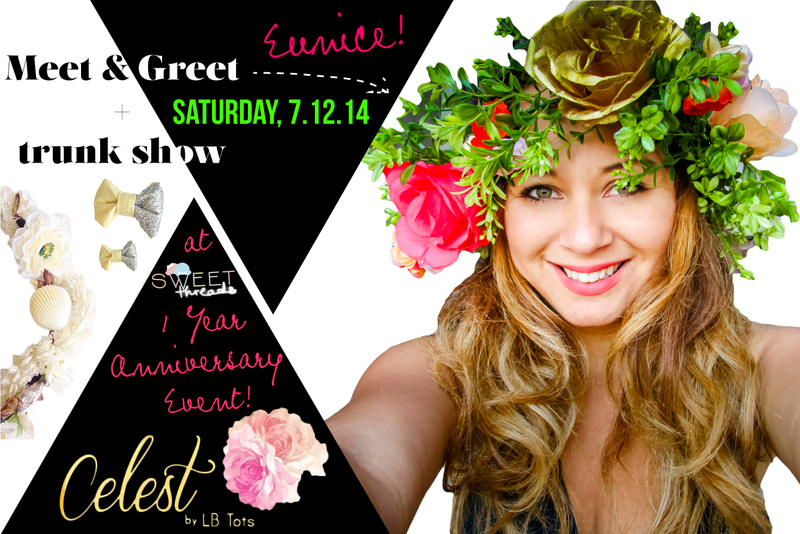 Dessert is on us for the 1st 50 customers with any #shopsweetthreads, #celestlbtots or #leiaroux purchase! !